Castle-dwelling couple Cortney and Robert Novogratz know a thing or two about decorating. Not only did they renovate said castle (a 1920s mansion in the Hollywood Hills) along with their seven kids, but they’ve also starred in two home renovation TV shows and written three books on design. And looking at their new collection of area rugs, available now on AllModern, you can tell they’re experts. 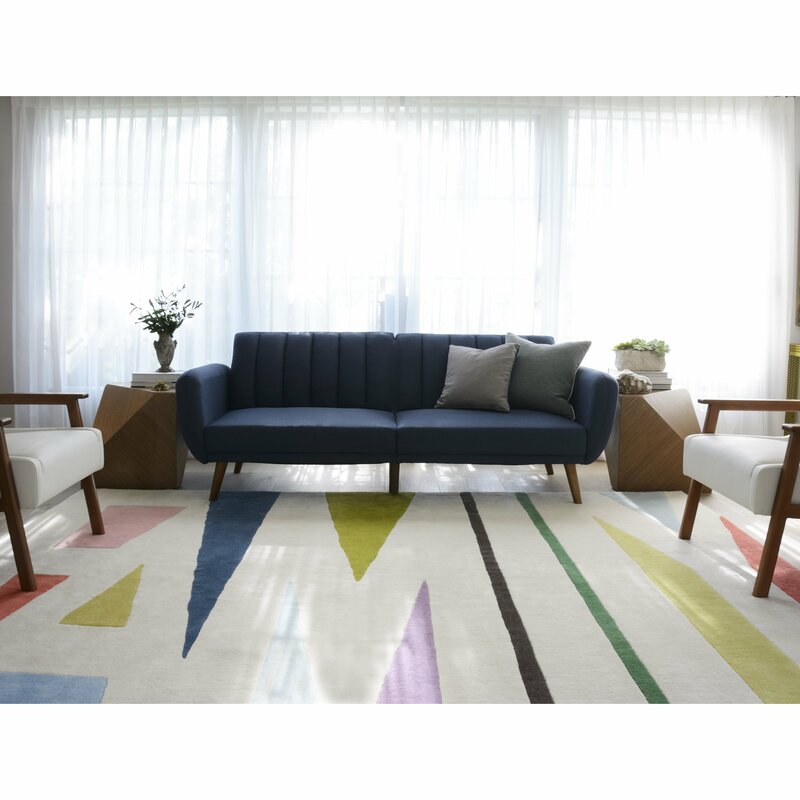 In partnership with Momeni, the design duo’s line of 61 area rugs is a balance of colorful, modern designs and new takes on classic patterns. Honestly, it makes us want to cover every square inch of our homes with area rugs — they’re that good. Take a look at some of our favorites from the collection, and get ready to start dreaming about how to work a new rug into your home’s decor. 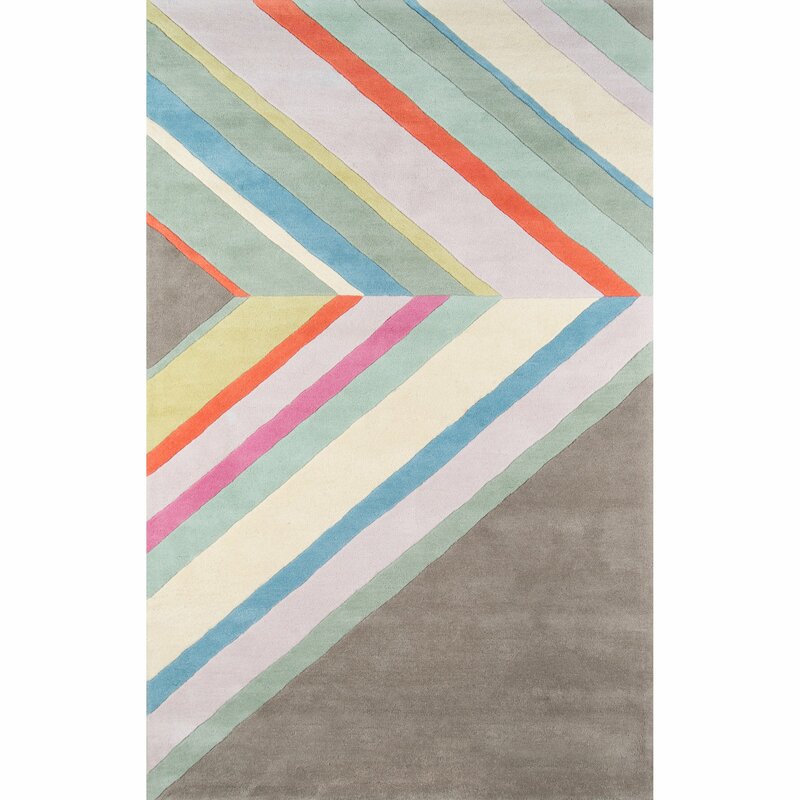 Our favorite thing about this large graphic-print rug, featuring an array of earth tones and pastels, is that from far away, the design is abstract. It’s not until you look a little closer that you see the design spells out “Family,” giving it a surprising versatility. 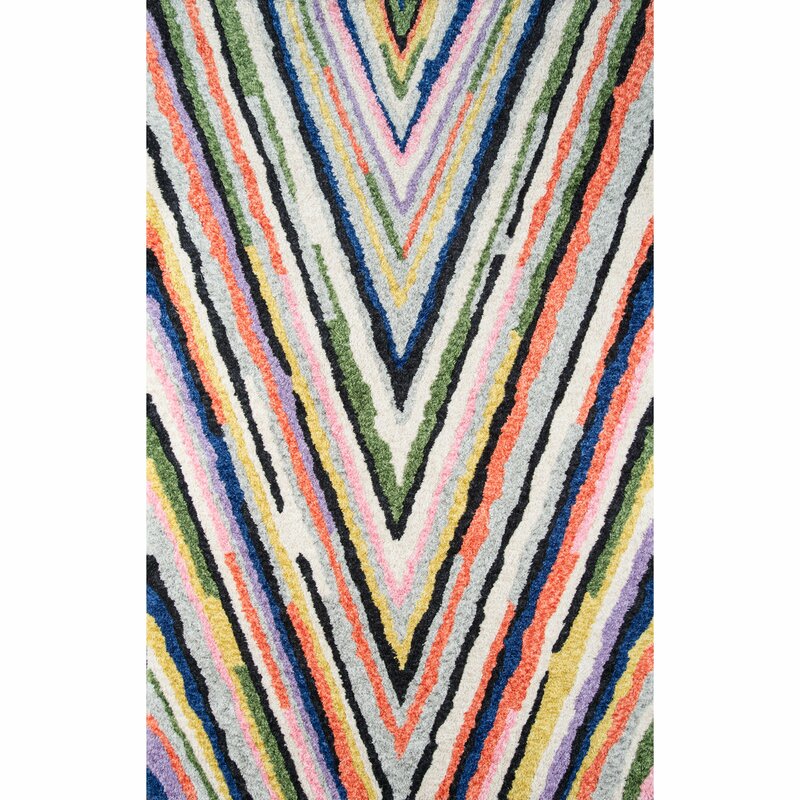 The deep V pattern of this colorful striped rug gives it a geometric vibe that works well with its extra-fuzzy tufting. 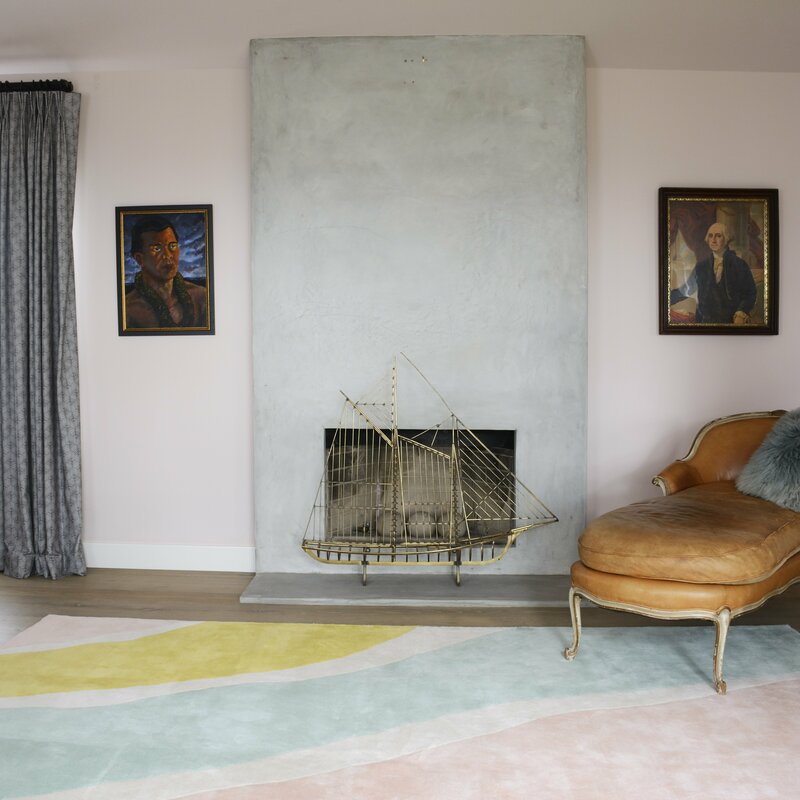 This modern geometric take on a classic Kilim rug is great for high-traffic areas of the house — it’s made with polyester, so it’s durable enough for the playroom or the foyer. 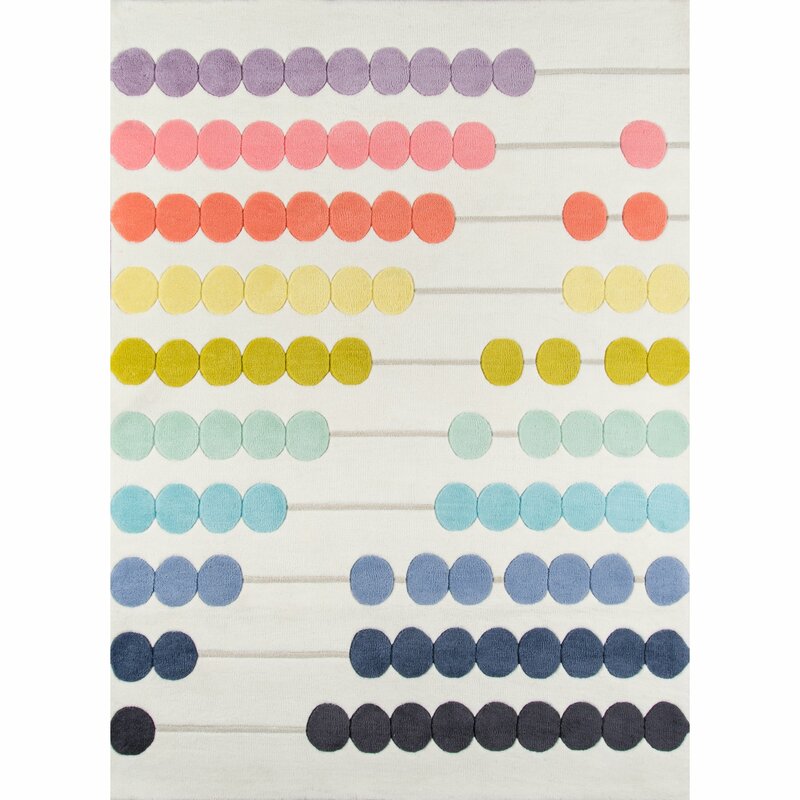 Soft tones of lemon yellow, blueberry and strawberry pink make this sorbet-inspired rug a subtle way to add color to any room. Is it a rug, or a tiled floor? 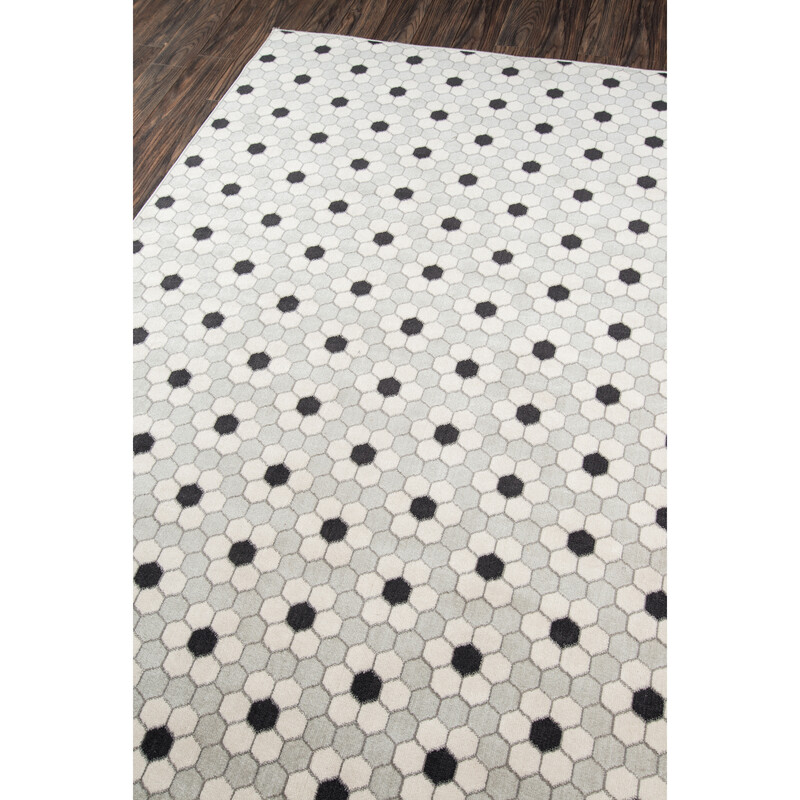 We love the versatility of this hex tile print, which combines the warmth of a soft area rug with the clean lines of a classic tile floor. 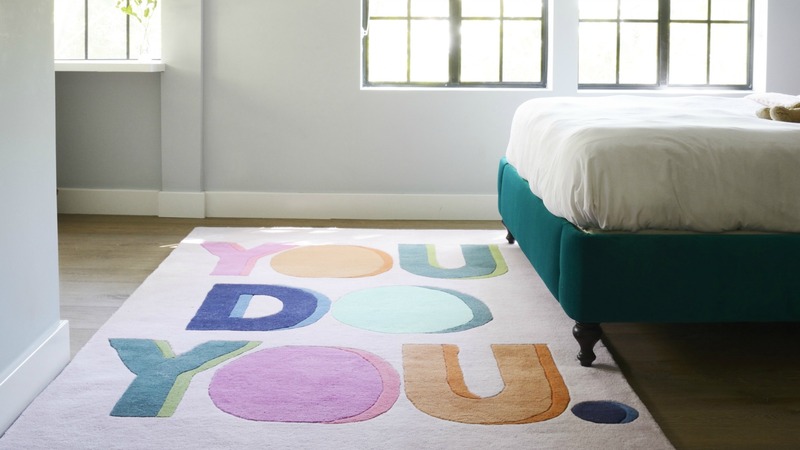 Words can’t express how much we love the creativity of this area rug. We see it as the centerpiece of a modern nursery, but it would work in other areas of the house too. It’s cute without being cutesy, and the colors used are a sophisticated take on classic pastels. 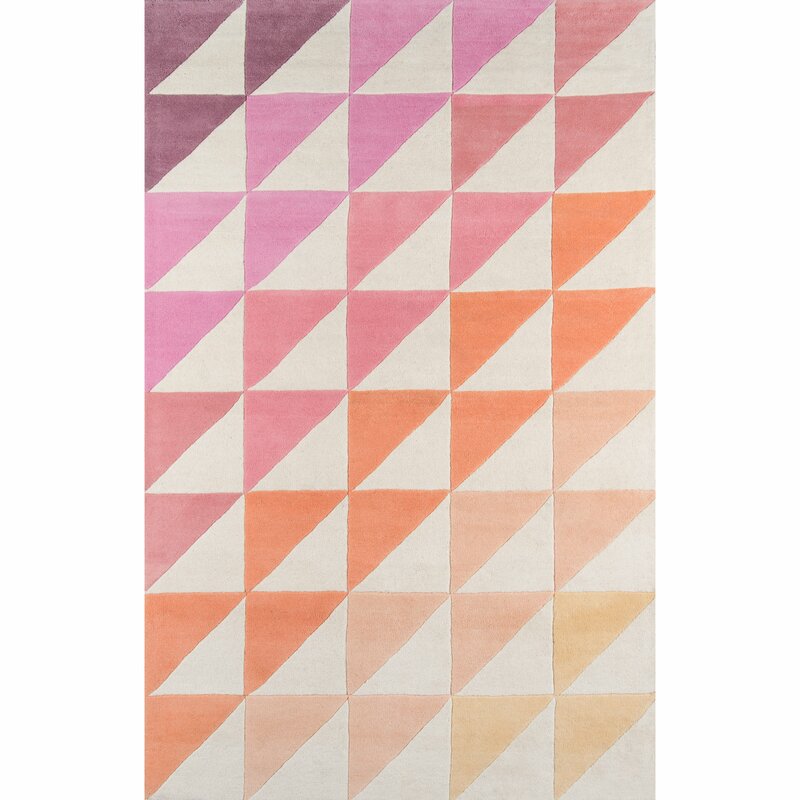 With bright pinks, peaches and purples, this ombré rug will add a hint of sunset to any room. 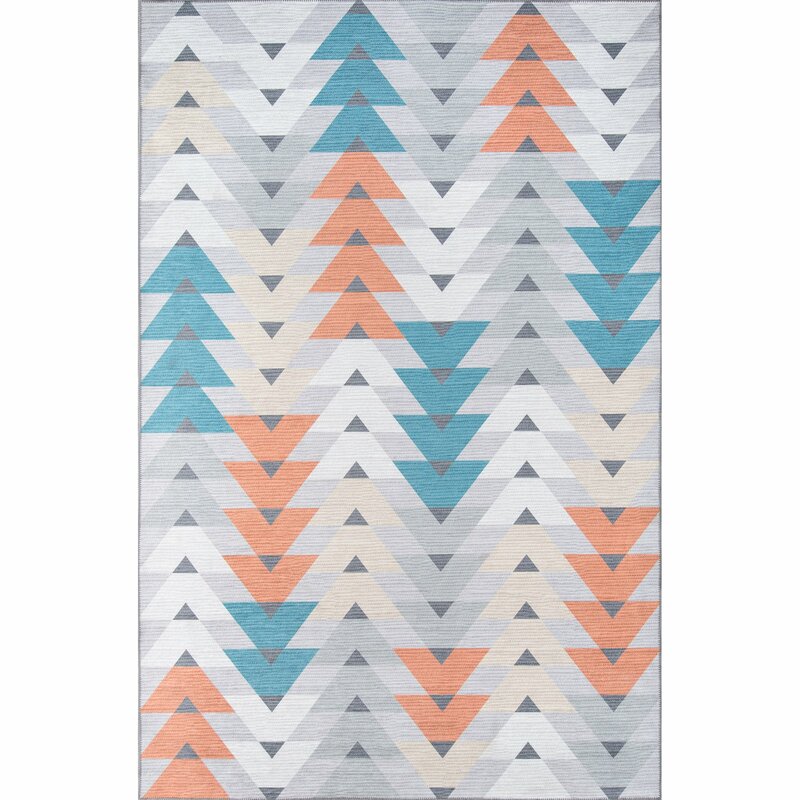 This retro-inspired wool rug feels modern thanks to a color palette of earth tones and neutral pastels. You can imagine it working in almost any room, from the nursery to the living room. 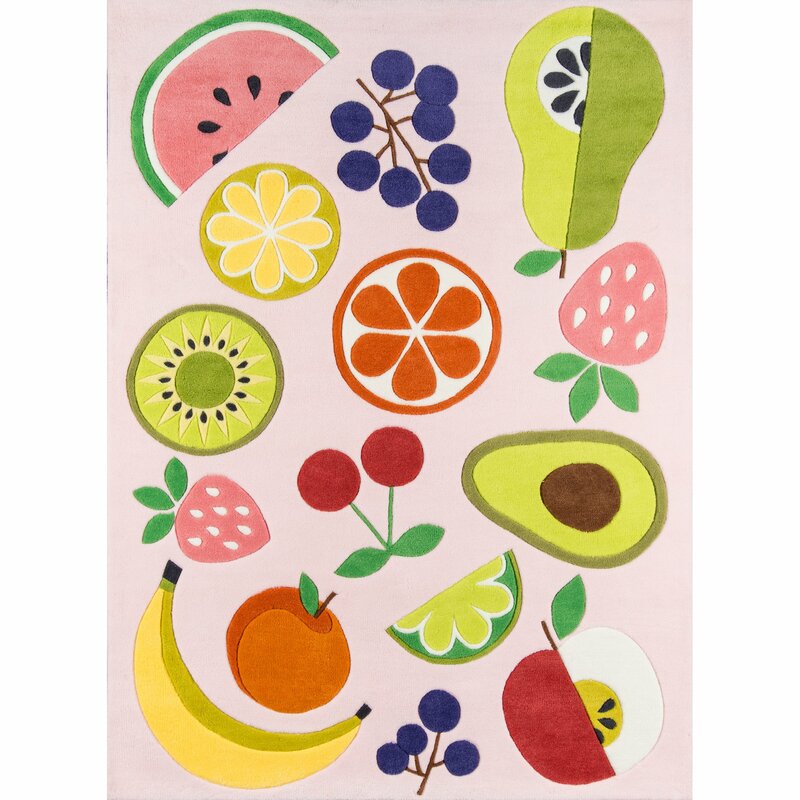 Most of the rugs in the collection are playful in a subtle way, but this loud and colorful vintage fruit rug breaks the mold. Imagine how much life it would breathe into a boring dining room or kitchen.